Local housing advocates have a tremendous opportunity to be heard at the Placer County Board of Supervisors meeting on Tuesday, Oct. 9. 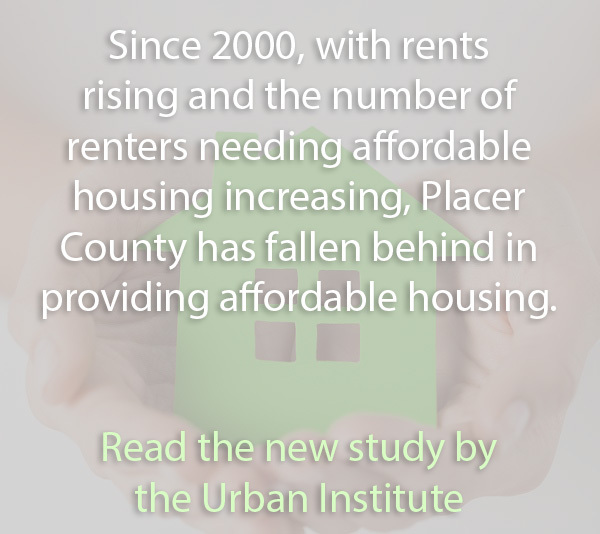 The board is encouraging public comments regarding in-lieu fees and affordable housing solutions in Placer County. The agenda will be posted here within 72 hours of the meeting time. It is anticipated the feedback received at this meeting, along with feedback at the Oct. 23 meeting in Tahoe, will then be used to write an action plan. This is a vital opportunity to provide insights and direction to the county for potential change. We hope to see you there! In the meantime, learn about the significance of addressing fee in lieu in our CEO’s special report, featured in the Sacramento Bee.